As a person that has grown up with computers, gaming has been a huge part of my life. Which is why I have had plenty of different keyboards on my desk. However, none of them have been like the Roccat Vulcan 120 Aimo. In a good way of course. Every time that I get to test a gaming keyboard, I always consider if I could actually use it daily. Usually, I have returned them with mixed feelings. But it was different with the Roccat Vulcan 120 Aimo. For the first time in years, I was actually disappointed that I had to return it. I’ll try explain further below in the review. 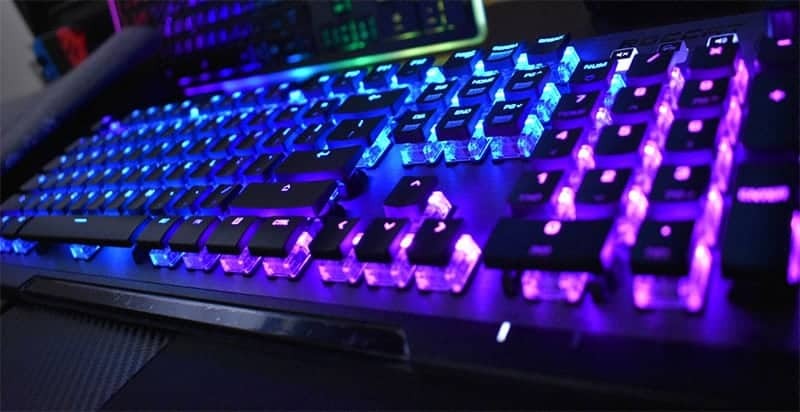 There are a lot of really good keyboards but none of them look as good as the Roccat Vulcan 120 Aimo. By a long shot. At least in my opinion. It’s an incredibly low profiled keyboard that is made out of brushed aluminium. Unlike similar other mechanical keyboards, the keys aren’t inside the case. No, they stick way out. This is the main feature that makes it stand out from the others. I’d even go as far and call it genius. It takes courage to leave the keys out in the open like that. Of course, you can say that it’s a problem because there’s dirt that can gather around them. I disagree with that. Either they won’t collect any dirt or it will be incredibly easy to clean. We have all been in a situation where something has fallen onto the keyboard and found its way into the depths of the case. It’s always been hard to get it out afterwards. With Vulcan you can forget these issues as there are no gaps for the pieces to get stuck in. You can even eat crisps and pizza near it. But that’s not all! Besides the brushed aluminium body and the naked keys, the Vulcan 120 Aimo also includes a light show. And not just any basic LED lights, an intelligent Aimo light show! Usually I’m not a huge fan of flashy lights as it gets annoying after a while. But that’s not the case with this keyboard. The light show is kind of calming and relaxing. The keys on the Vulcan 120 Aimo are mechanical, so they are quite loud. If the noise gets too much then just put on some relaxing music and watch the light show. The noise actually turns into a pleasant buzz in the background. It’s quite magical. The keyboard also comes with wrist support. However, I’d say that it’s pretty pointless as the case is incredibly low profile. It attaches to the case with a magnetic connector. It looks pretty good but it kind of makes the keyboard looks cheap. But that’s because it just looks so good. This isn’t the first time that I have used software from Roccat. I have to say that the user interface has improved a lot over the years. It’s much easier to use and it includes much more settings that can be configured. There’s one thing that bothers me though. I wish that Roccat Swarm automatically combined all of my Roccat devices. For some reason I have to activate them separately. Another thing is that for some reason, the Roccat Swarm software updates itself insanely often. Like annoyingly often. It doesn’t interfere with gaming or using the devices. It’s just annoying. Beautiful devices aren’t always functional. Which doesn’t mean that functional devices have to be ugly. I’m glad to say that the Roccat Vulcan 120 Aimo is both pleasing to look at and play games with. The Vulcan is an absolute joy to play games with. I specifically chose an action-packed game called the Era of Celestials to test out the key movement. And let me tell you, the keys move fast, they are responsive and they just feel good against fingers. Not to mention the mechanical clicks that just sound so nice. I have always been a fan of the sound that mechanical keys make. I’m just weird like that I guess. Over the years I have realized that keyboards also sound different. In my opinion Vulcan has some of the best sounding keys. You can also add different sound effects from the Roccat software. I actually added a typewriter effect, which was pretty interesting, to say the least. The Roccat Vulcan 120 Aimo is one of the thinnest keyboards I have ever used. Which kind of worried me at first as I was afraid of my hands getting tired. But that definitely wasn’t the case. My hands didn’t get exhausted at all after using it for an entire day. The only downside that I could find was the tiny Enter key. It was just way too small for me personally. Roccat Vulcan 120 Aimo is most definitely not the average keyboard for the average computer user. It’s designed for a person who wants the best devices for both working and gaming. There’s only a handful of keyboards that both look amazing and are incredibly functional. I’m also really going to miss the light show that the keyboard provided. Sure, it didn’t add anything to the games I played but it was still nice to look at. 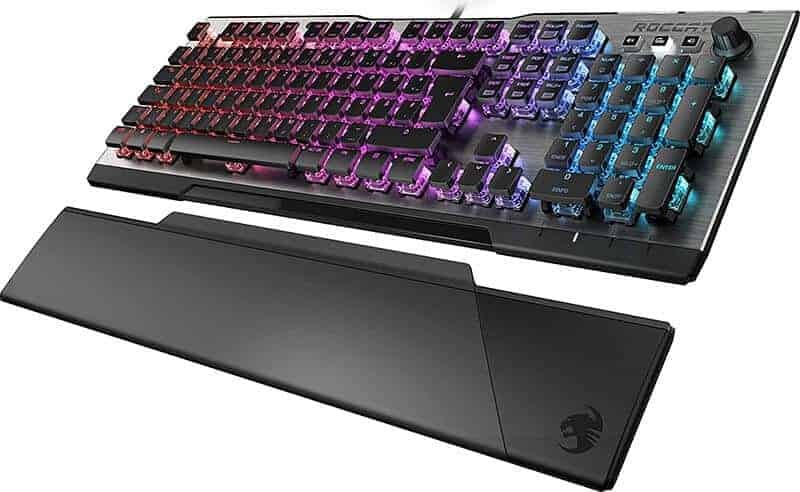 If you are currently looking for a keyboard then the Roccat Vulcan 120 Aimo is the one I can honestly recommend. Even if you don’t like the light show that I constantly mention. 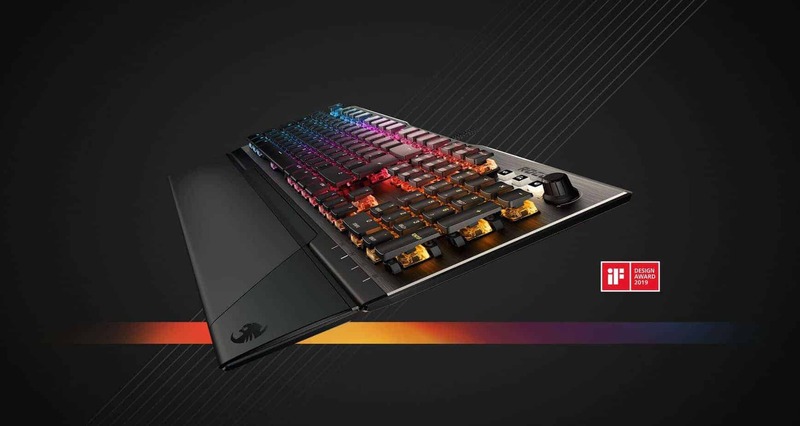 You can turn it off anytime you want and you’ll still have a premium grade mechanical keyboard. Marcus Hagen is an avid esports enthusiast. He likes to play Overwatch and he occasionally reviews gaming products for his blog at Tenpire.com. He is also studying journalism at Columbia University.